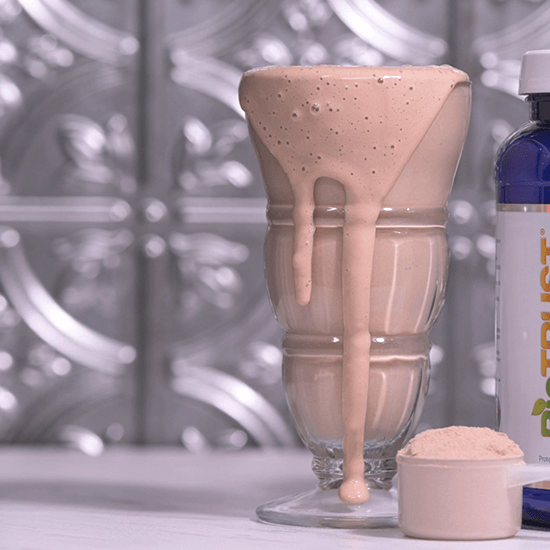 Drink a BioTRUST Grass-Fed Low Carb Protein smoothie first thing in the morning to boost your energy and metabolism while keeping you full for hours. Normally a full-size container is $49 on Amazon with a best-seller and 5-star rating, but you can try it today for 50% off (just $24.50) because we’re celebrating selling over 2 million containers! 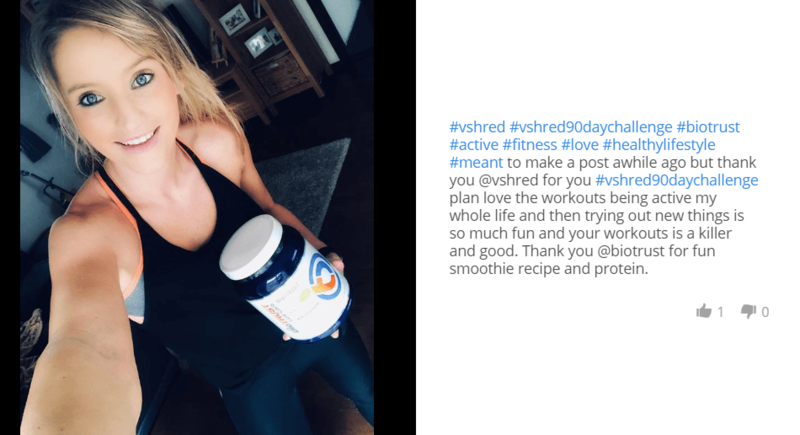 Perfect for boosting metabolism, recovering from exercise, and curbing cravings—in the morning or before bed as a late-night treat. Award-winning flavors. Nothing artificial. Ultra-premium. Grass-fed. Certified hormone- and antibiotic-free. THE BEST & MOST EXPENSIVE PROTEIN ON THE PLANET! BONUS: When you purchase today, you will immediately receive the FREE eBook “15 Quick & Easy Milkshake Recipes for a Flat Stomach” (a $20 value). In this 31-page recipe ebook, you’ll enjoy a variety of delicious and nutritious recipes to use along with your BioTRUST Low Carb. 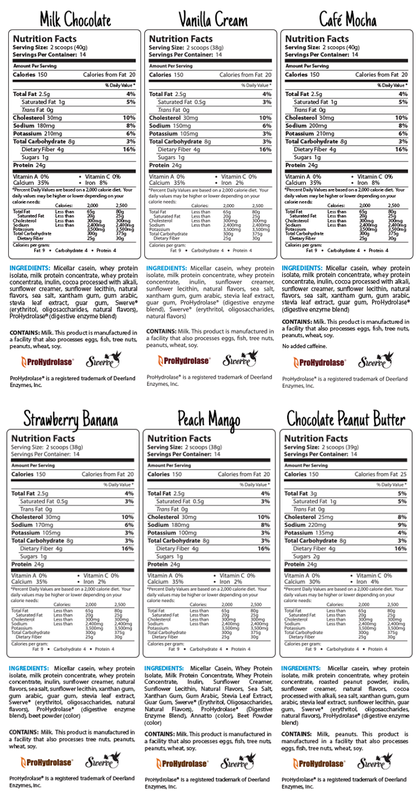 First off, we cut out the retail middleman and only sell our protein direct to our loyal customers. This allows us to make a far superior product at an attractive price. 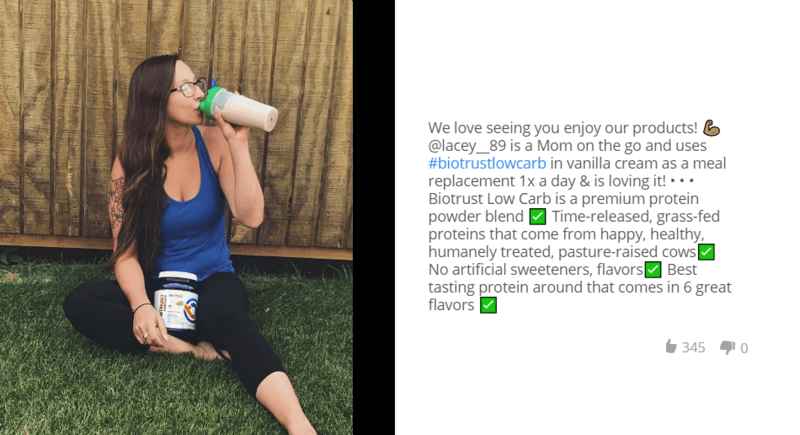 "I LOVE the BioTRUST Low Carb Protein. It has a creamy, rich, consistency. I have one every morning." 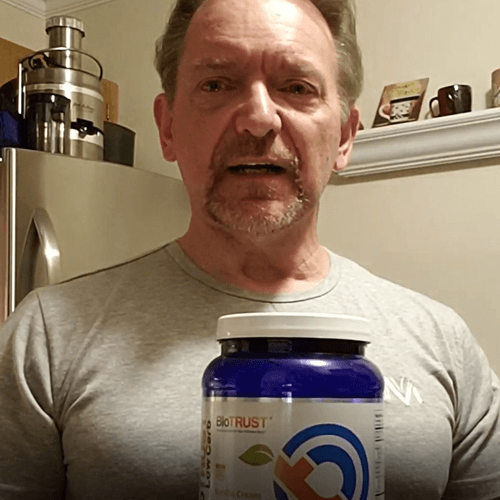 "BioTRUST Low Carb has changed my life. I lost 50 pounds and several clothing sizes. It's like having dessert every day!" And did we mention it tastes incredible? 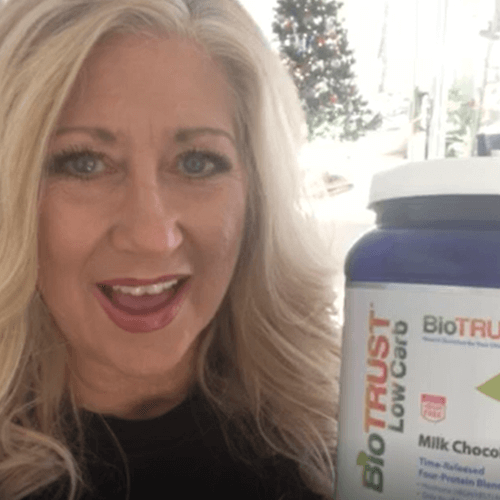 Every time you mix up a BioTRUST Low Carb shake, it mixes easily and it's like enjoying a rich, creamy milkshake from the ice cream shop—only it comes in at just 150 calories while supporting your metabolism and fitness goals. 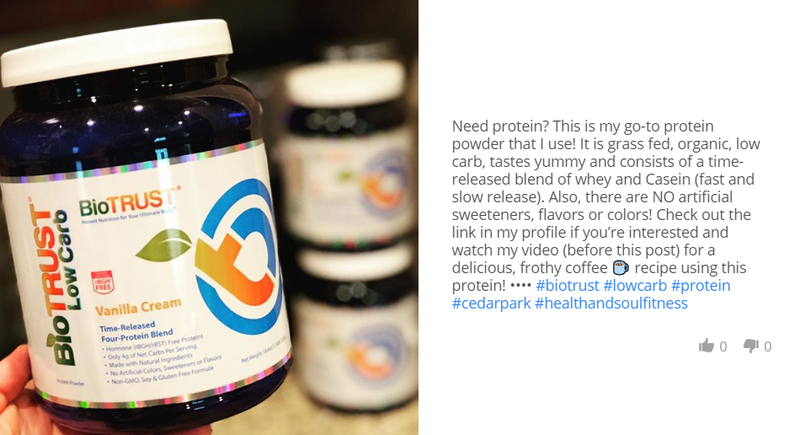 Fact is, we've sold over 2 MILLION containers of BioTRUST Low Carb, and we're confident it's the BEST protein powder money can buy. It's truly HALF PRICE (just $24.50). No forced monthly subscription. No future charges. 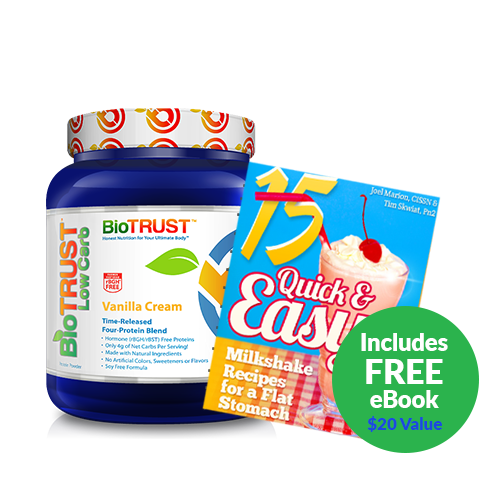 Today you can receive a full-size container of BioTRUST Grass-Fed Protein Powder, a FREE Copy of 15 Quick & Easy Milkshake Recipes for a Flat Stomach eBook, and FREE VIP Health and Fitness Coaching. That’s over a $100 in value for just $24.50 plus a small shipping fee. 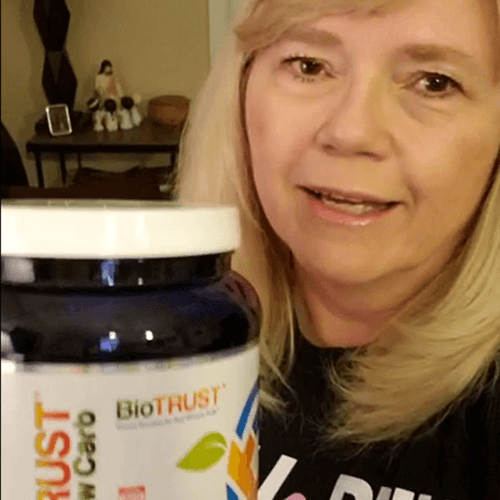 BioTRUST Low Carb to Water or Your Favorite Beverage. 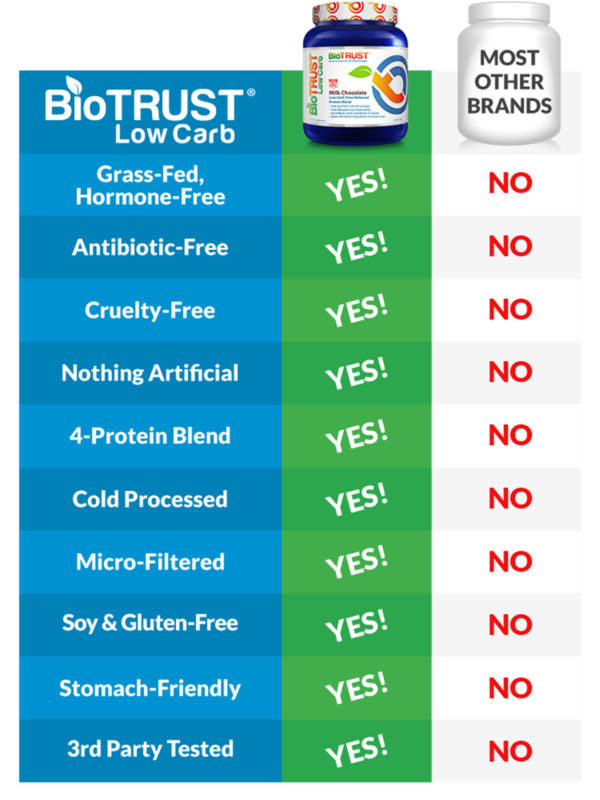 The makers of Low Carb, BioTRUST, is America's #1 online nutrition brand. 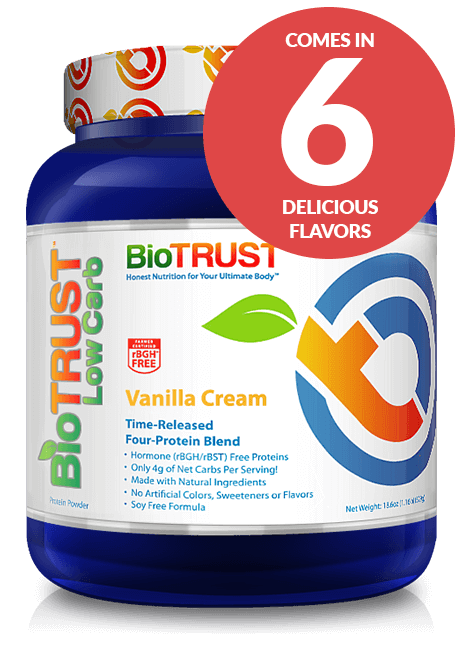 For breakfast, between meals (to help crush cravings), before or after a workout (to speed recovery), or as a delicious and nutritious night-time snack, add two scoops of BioTRUST Low Carb to 8 ounces of water (or another beverage) and mix or blend until smooth. For optimal enjoyment, we recommend drinking within 30 minutes of preparation. 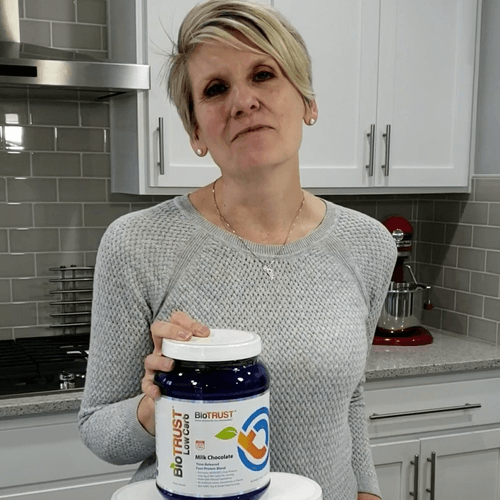 You can also use BioTRUST Low Carb in your favorite smoothie recipes, to make a high-protein pudding, you can add it to yogurt, or you can use it in your favorite baked goods recipes. 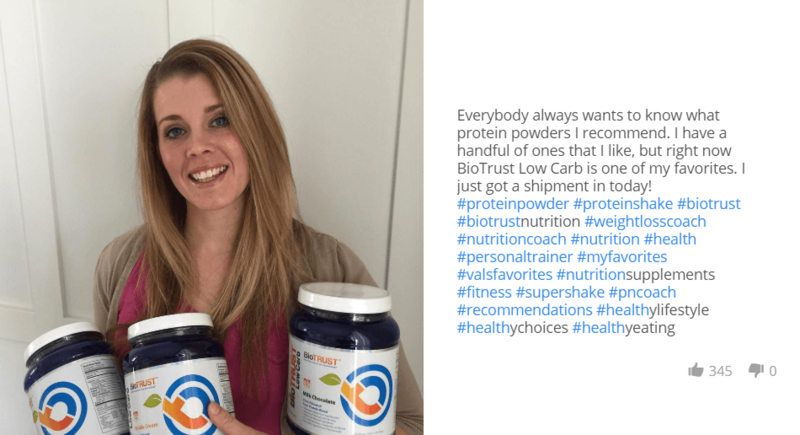 Q: What is in BioTRUST Low Carb Protein Powder? This product contains ingredients derived from milk, and it is manufactured in a facility that also processes eggs, fish, tree nuts, peanuts, wheat, and soy. Always review the label for the most accurate information. Q: How long will this special offer last? We can't promise big discounts like this forever, so this special offer can end without notice at any time.